Hey Chowdahead, here's your chance to get a sweet t-shirt for only $10.00! This is a mystery t-shirt and could be any of the designs on our website that we printed too many of, a sample we got of an officially licensed t-shirt, etc. 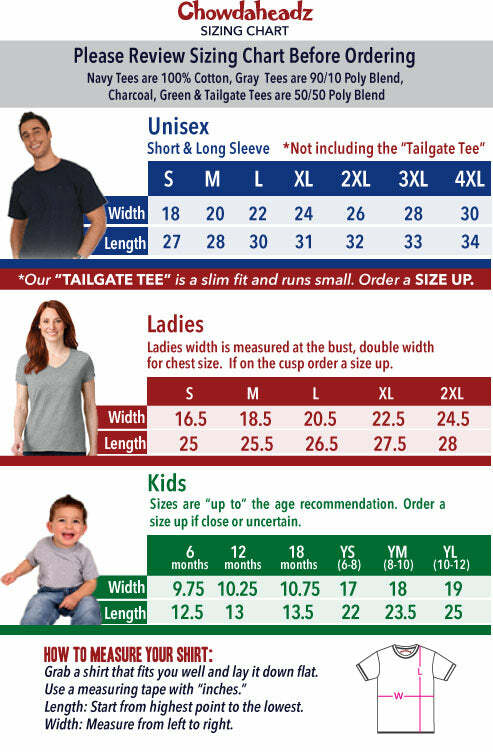 It's only $10.00 and you can choose your size above so you know your getting one that will fit. You'll be getting a great deal (a tee that usually retails for $22-30) and you'll be helping us clear our shelves for more room to add other great designs! What t-shirt could it be? Well, if we told you what shirt it would be then it wouldn't be much fun now would it? Take a chance with a mystery tee and it could be that sweet shirt you've had your eye on! Mystery items are exempt from all sales, promotions and discount codes.